Most of you will know about the new series for younger readers that I’ve been working on with the illustrator Gary Chalk. 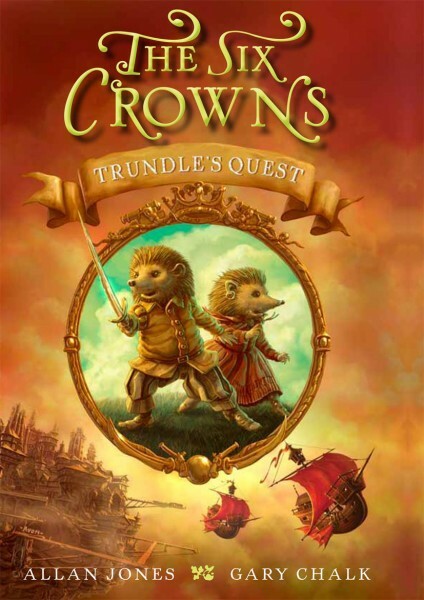 Well, book one of the series “Trundle’s Quest” came out in the UK last Saturday, so we all have our fingers crossed that people are going to like it. The book is aimed at readers from 8 years old and upwards, so if any of you have younger brother and sisters or cousins or brothers or sisters of friends or relations or neighbours, and these people like fantasy and talking animals and flying ships and adventure romps, these books might be just the thing for them. Or maybe you like that kind of thing yourself? I know I did when I was in my teens! The books are also going to be published in America - by Greenwillow (They’re affiliated to Harper Collins who publish Faerie Path and Warrior Princess), but they will have a different series title. In the US the series is going to be called THE SIX CROWNS. If you check out Amazon.com you’ll see that book one “Trundle’s Quest” is due to hit the stores on March 22nd 2011. In America the books will have different covers, so don’t get confused - despite the completely different covers Trundle’s Quest in Sundered Lands and in The Six Crowns is exactly the same book. Something else you could do if you have time is to check out the brand new website Gary and I have put together for the series here in the UK - www.sunderedlands.co.uk. (You can find it on my “links” page). We’re not sure if there will be a different website for the US version, or what, but I’ll let you know as soon as we do. Oh, by the way - one thing you will notice in the US version is that I’m called “Allan Jones” - this is because the publishers don’t want to confuse readers of Faerie Path and Warrior Princes by using “Allan Frewin Jones” or “Frewin Jones” - because this new series is very different from those other two series. I have two copies of the UK version of Trundle’s Quest which I will sign and send to the two first people who ask. wow-the cover looks great and even I become curious what stories might be in there…. wish you all the best with the new series and lots and lots of readers!!! Wow! That sound like a great book!! I love stories with little animals in them! I’m SOOOO checking that out when it comes to America! But why did you have to change the title? AFJ. Rachael - series titles are really tricky. When publishers decide they want to publish a series from another country, they pretty much always insist on the right to change the title to suit “their market” - so the real answer to your question is that the American publishers thought The Six Crowns would work better for American readers. What do you think? The Six Crowns or Sundered Lands. And which covers do you like best? The UK ones or the US one? I think Sundered Lands has a ring of mystery and rugged strength to it, while The Six Crowns only gives the allusion of grandeur. Sundered Lands would be my choice title. I’m also rather partial to the US book cover, only because the hedgehogs look so cute! Ah. That book looks amazing. I would love to read it. If only I could get my hands on it. Is there anything that is really important to keep in mind that you must do when writing a children’s book than a teen book? AFJ. Sophia - yes, you can have a copy - go to the Contact page on this site and send me your full name and address and I’ll sign the book and send it off to you. AFJ. Daniela - there’s plenty of things I can’t do - math, sport, juggling, eating apricots, scolding Siouxsie, mountain climbing, knitting, playing saxophone…oh, and lots of other things! AFJ. I’m happy to send books to America, Rachael - just go to the Contact page and mail me your name and address and I’ll send you one. For anyone else - I only have two more copies left to send - so ask soon or you’ll miss out! Oh! can I pleeeeaaaase have a book? I’d love to have one! Please please please! It wont be too hard to send one all the way to the U.S. will it? AFJ. Sarah - go to Contact page and send me your name and address and I’ll mail a book off to you. I now only have one spare copy left, people - so hurry hurry hurry if you want one! AFJ. Okay people - the list of free copies is now closed - sorry if you missed out. The 2nd book in the series is coming out later this year - maybe I’ll send some of those off as well when they come in. To different people this time! awwwww ;( oh well… how many copies did u have mr.allan? of sundered lands i mean? AFJ. Daniela - five for give-aways - and they’re all spoken for, I’m afraid. i really hope you can do the copies for the second book!! Hey! I just felt like saying hi again…I decided to make different blog, this time about writing, because I’m hoping if I do that then I’ll make myself more motivated to write! Anyways, How are you doing Mr. Allan? when is/was the book supposed to come out in the US? Hi Allan, who are the cover artists for the UK and US? AFJ. 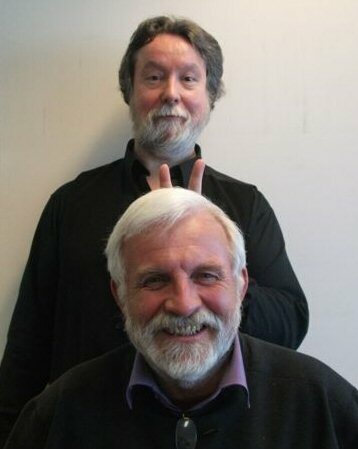 The cover artist for UK and US editions is a guy called John Avon. I really liked the “lost queen” book ! I’m doing a book report about it just now ! AFJ. That’s great, Michall, thanks for letting me know. t’s such a tickety-boo site. fanciful, acutely fascinating!!! Fantastic site, I hadn’t noticed http://www.allanfrewinjones.com previously during my searches!